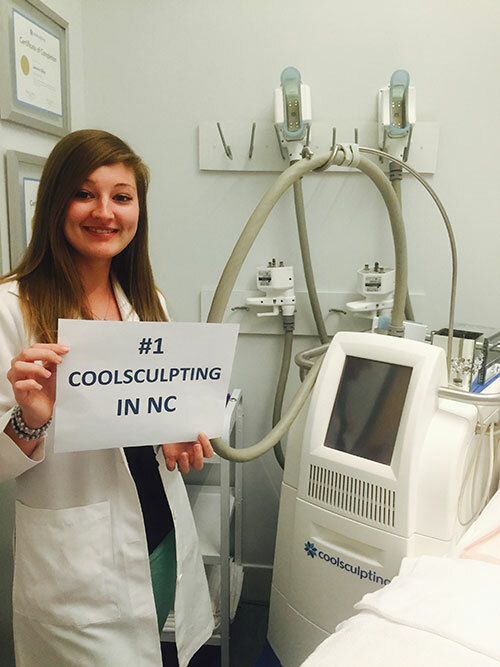 Blue Water Spa has been a top CoolSculpting provider in the Triangle for over 4 years and we have performed over 6,500 CoolSculpting treatments. Our exclusive CoolSculpting treatments include dual systems with CoolAdvantage and CoolAdvantage Plus applicators, mechanical massage, compression binders and vibration therapy. We believe our system provides the most effective results possible for non-surgical spot reduction and fat elimination currently available. Blue Water Spa conservatively offers treatment options only after they have been proven to be consistently safe and effective. All patients must complete a consultation process to review information and determine if you are a good candidate. Breakthrough, non-invasive fat reduction. No needles. No incisions. No downtime. Uses precise cooling technology to eliminate stubborn fat cells without damage to the surrounding tissues. FDA-approved technology and proven safe. FDA cleared to treat love handles, abdomen, flanks, back, thighs, and arms. Immediately resume normal activity after your treatment. Two areas can be treated in 35 minutes while you relax, read, or watch Netflix. Vibration therapy aids the lymphatic system and can aid in moving waste through the body. You can FEEL vibrational therapy working on the circulatory system and the lymphatic system. Compression garments have been used by plastic surgeons for years following body contouring procedures such as tummy tucks and liposuction. How Does CoolSculpting Actually Work? How Do I Get The Fastest Results from CoolSculpting?